The most important new feature in Pinta 1.5 is the addition of add-in support. Users will be able use the Add-in Manager (available in the Add-ins menu) to browse and install add-ins which can provide additional effects, tools, brushes and and file formats. Currently, there are no add-ins for Pinta (other than the default/core ones), but its developers are in the process of setting up a community add-in repository which will be included by default in future Pinta releases. Developers who are interesting in contributing add-ins for Pinta should check out THIS page. Fixed several bugs when running Pinta with newer versions of Mono.Cairo (such as on Ubuntu 14.04). For a complete changelog, see THIS page and for a complete list of bug fixes, see THIS. 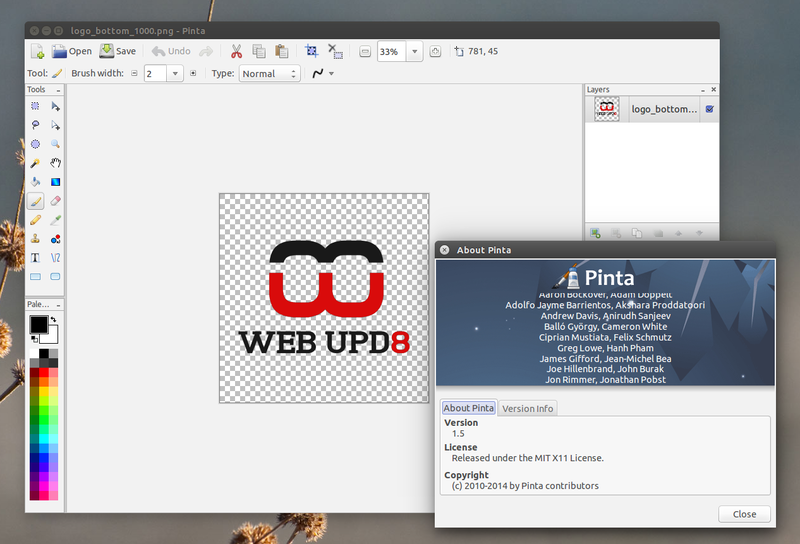 Ubuntu / Linux Mint (and derivatives) users can install the latest Pinta by using its official PPA. The PPA provides the latest Pinta 1.5 for Ubuntu 14.10, 14.04, 13.10 and 12.10. 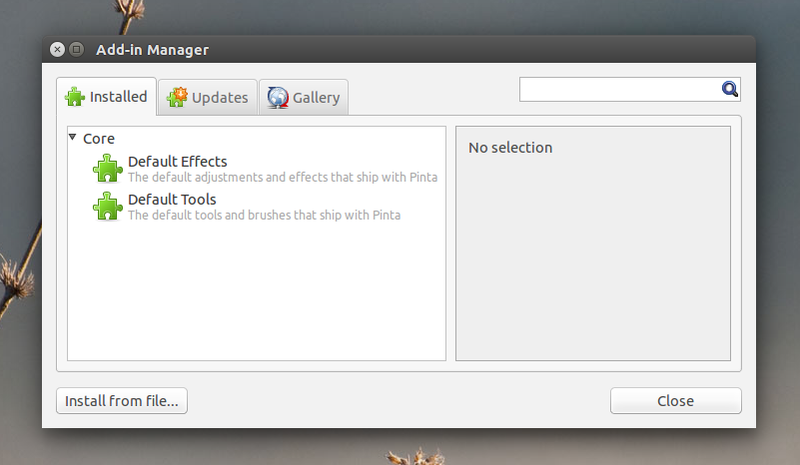 There are no Pinta 1.5 packages (Pinta 1.4 is available though) for Ubuntu 12.04!